According to property analysts, the residential site at Siglap Road will receive warm interest from property developers in the coming weeks. The Urban Redevelopment Authority of Singapore (URA) have launched the site for a public tender on 26 November 2015, under the 2H2015 Government Land Sales (GLS) Programme. 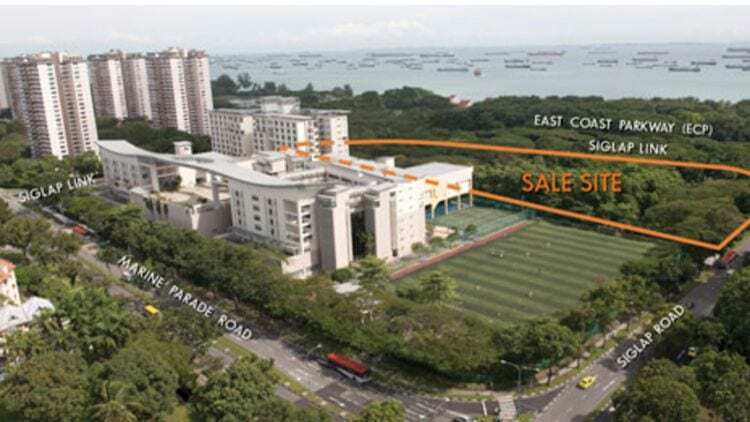 The 1.93-hectare land parcel is located near the East Coast Park, older residential complexes such as Fernwood Towers, Mandarin Gardens and also Villa Marina, and top schools such as Tao Nan School, Victoria School and Junior College etc. On top of that, the future development will also be within close proximity to the upcoming Siglap MRT Station, which is part of the Thomson-East Coast Line. With a plot ratio of 3.5, this residential site can yield up to approximately 750 private homes. It was noted by Nicholas Mak, the executive director of SLP International, having a land parcel in the East Coast precinct for sale is certainly rare. And due to the size of the land parcel and the potential of constructing these many residential units, it will require huge funding for the future development on this site and we are likely to see big developers or even consortiums submitting bids for it. Many property consultants are offering mixed views for the eventual winning bid, which is expected to range from only S$640 psf ppt to S$873 psf ppr. It’s also being mentioned that selling price of this future new launch condo looks to be around the S$1,300 psf range if it is being launched by end 2016 or early 2017. At this selling price, it was noted that the future development will be commanding a premium of approximately 25 to 30% more than the older developers around the precinct (which is around the S$1,000 psf range). Due to the weak market sentiment in en-bloc sales, it will be a more rational strategy from property developers to acquire land, rather than going through collective sales due to shorter redevelopment time and lower acquisition cost. However, the biggest challenge for winning developer is to come up with a project with tons of value to justify the price tag, as there are older freehold properties within the precinct and traffic noise coming from the expressway could be one of biggest concern for future prospects. Then again, most of the mega prominent projects around the East Coast districts, such as newer condominiums The Meyerise and Silversea etc are all facing the East Coast Park Expressway. The tender for this site will close on 14 January 2016, 12 noon.